One of the earliest game publishers to enjoy huge success on iOS devices was Firemint, maker of Real Racing 2and Flight Control. Though it is not a company that puts out several games a year, you know that when Firemint does release something, it's probably going to be good. Last week, Firemint released its latest game, Spy Mouse, and with a mix of line-drawing fun and excellent production values, it has already reached No. 1 in the iTunes App Store. There are six Spy Mouse worlds to play through, each with unique challenges and items to find. Spy Mouse (99 cents - see note at bottom) is a line-drawing stealth game that challenges you to draw a path for your mouse through dangerous environments in order to steal cheese. 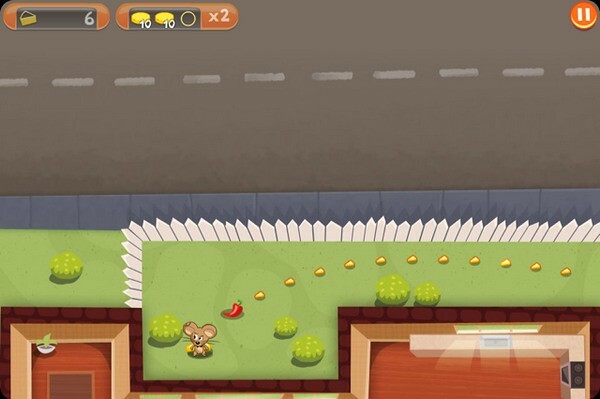 You play as Agent Squeak, a crafty little mouse who uses holes in walls and strategically placed furniture to keep himself hidden from patrolling cats. In each level, you try to draw a path with your finger to direct Agent Squeak to blocks of cheese without alerting the cats. Bonuses are given for getting the cheese in the least amount of time, using the least number of drawn paths, and never alerting the cats to your presence. You'll need to succeed at all three to complete a perfect level. Draw the path you want Agent Squeak to run, but make sure the cats don't see you! 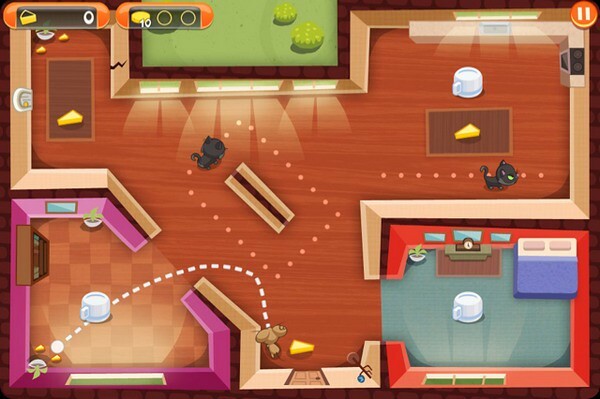 Spy Mouse is a challenging and addictive game that has that "one more level" quality to keep you coming back for more, but the overall atmosphere is what makes this game a must-have. What with the '60s-style camera transitions and jazzy spy-TV-show music, we couldn't help but smile as we tried to avoid cats and solve the game's many cheese-stealing puzzles. The game comes with six unique worlds with several levels to complete and a boss fight at the end of each world that will challenge your Spy Mouse technique. There are also items to pick up that will increase your speed and other bonuses along with hidden levels to grab extra cheese that add to the fun. When a level is particularly difficult, you have the option to pay 99 cents from within the game and get Kiska, a cat that takes care of the other cats in your way, but we never saw the need. Look for cracks in the walls to find bonus areas where you can get extra cheese. Spy Mouse is an excellent and unique pick-up-and-play game with polished visuals and an immediately recognizable espionage-genre ambiance. With its challenging gameplay, beautiful cartoon graphics, and exciting music, it's easy to recommend this game to everyone. 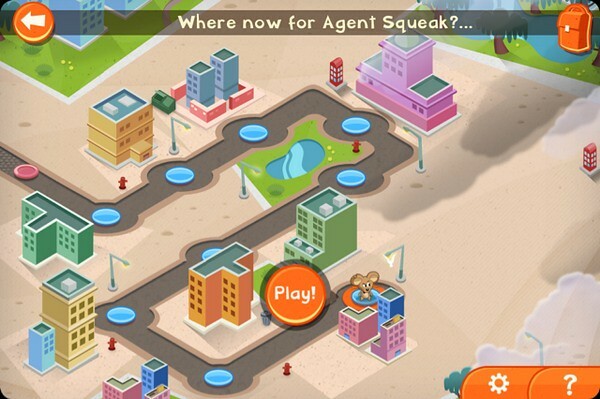 As the third game in Firemint's megapopular catalog, Spy Mouse has already taken the No. 1 spot in the iTunes App Store. Even after playing for only a few minutes, we think it will be easy to see why Firemint's games keep being hits. If you need information on how to redeem a promo code follow our tutorial here.